The Khoisan are established as the dominant power in the southern and south-western Cape regions. Portuguese navigators, representing the interests of the Portuguese Royal House and merchants eager to find a sea-route to India around the south coast of Africa, reach the coast of Guinea, West Africa. Diogo Cão, a navigator acting under the instruction of the Portuguese King John II, reaches the mouth of the Congo River. Cão puts ashore at Cape Cross, north of present-day Walvis Bay. The Portuguese explorer Batholemeu Dias sails down the coast to reach southern Angola. He later lands at present-day Walvis Bay and soon after at Lüderitz Bay. Dias succeeds in circumnavigating the Cape, naming it "Cabo de Boa Esperança" or the Cape of Good Hope. This is a major breakthrough in the search for discovering a sea-route to India. With the ascension of Manuel I to the Portuguese throne, the Royal House of Portugal strengthens its support of the scientific maritime investigation into finding a sea trade route to India. January, Bartolomeu Diaz Lands rounds the Cape. The power of the Portuguese nation begins to decline. This marks the start of many European nations pursuing the sea route rather than the land route to India. Antonio de Saldanha, leading a Portuguese squadron, enters Table Bay (called Aguada da Saldanha until 1601) owing to a navigational error. They are the first Europeans to climb Table Mountain, which they name Taboa do Cabo (the Table Cape) on account of its shape. 1 March, On his way back to Portugal the Viceroy of Portuguese India, Francisco d' Almeida, is killed in a skirmish with Khoi-Khoi, probably due to a misunderstanding arising from barter between the Khoi-Khoi and the Portuguese at the mouth of the Salt River in Table Bay. Thereafter, Portuguese traders tend to bypass the Cape itself, relying on Robben Island for fresh meat and water. 24 April, The Portuguese ship São Bento is wrecked north of the Great Fish River on its return from the East. Manuel de Mesquita Perestrelo, Portuguese navigator and cartographer is one of 64 survivors of the crew of 473 who reaches Delagoa Bay on foot, and one of 23 to be ultimately rescued. An account of the shipwreck of the São Bento by mariner Manuel de Mesquita Perestrelo is published in Portugal, the oldest book dealing exclusively with events on South African soil. Portuguese mariner and cartographer Manuel de Mesquita Perestrelo explores the south and south-east coast of South Africa on a voyage for this purpose. He gives the first detailed description and draws a map of the coast. The English and the Dutch begin to call regularly at Table Bay on their way to and from Asia. Khoikhoi traded mainly iron, copper and marijuana with the foreigners at this stage. 1 August, The English navigator, James Lancaster, barters sheep in the Bay of Saldaha (called Table Bay after 1601) from the Khoi-Khoi. He describes the sheep as very large, with good mutton, bearing no wool but hair, and with very large tails. 4 August, Four ships under Cornelis de Houtman reach São Bras. This is the first contact of the Dutch with the coast of Southern Africa. Joris van Spilbergen, leading a Dutch fleet, casts anchor in the Bay of Saldaha (Aguada da Saldanha) and names it Table Bay after Table Mountain, while the original name is transferred to the present Saldanha Bay. 1 November, James Lancaster, in command of the first East India Company fleet of England, rounds the Cape again on his way to the East. 20 March, The Vereenigde Landsche Ge-Oktroyeerde Oost-Indische Compagnie (VOC) trading company receives a charter from the States General, the highest authority in the Republic of the United Netherlands, which entails a trading monopoly and the right to acquire and govern Dutch possessions in the Orient for a period of 21 years. Extended in 1623 and 1647. First attempt by sailors of the English East India Company to annex the Cape on behalf of Britain. Sir Thomas Roe attempts to land some deported British criminals at the Cape, but those who are not drowned or killed by Khoikhoi are soon removed from the Cape and the scheme is abandoned. The English take Autshumao (also Autshumato), chief of the Goringhaikonas Khoi-Khoi, to Batavia. He is known to the English as "Harry" and later to the Dutch as "Herry". He is later returned to the Cape to act as the resident agent or postmaster for passing ships and as a translator. Autshumao (Herry) asks passing sailors to ferry him and twenty of his followers to Robben Island. There the group remain, on and off, for the next eight years, protected from their mainland Khoikhoi enemies and within easy reach of the Island's edible resources, which include penguins and seals. 25 March, The Dutch ship Nieuwe Haerlem is wrecked in Table Bay. A survivor, Leendert Janszen, is instructed to remain behind with some crew to look after the cargo. After a year a Dutch ship fetches Janszen, his crew and the cargo. Upon his return to Holland, Janszen and one of his companions, Matthijs Proot are required to write a feasibility report on the establishment of a refreshment station at the Cape. 26 July, Date of the well-known Remonstrantie" by Leendert Janszen and Matthijs Proot in support of the Dutch establishing a refreshment station at the Cape. Jan van Riebeeck, who is subsequently appointed by the VOC to establish the trading and refreshment station, supports him. The Dutch East India Company establishes a refreshment station at Table Bay. 6 April, Jan van Riebeeck, on board of the Drommedaris, arrives in Table Bay. 7 April, Van Riebeeck personally goes ashore to look for the best place to erect a fort and establishes a refreshment station at the Cape between the foot of Table Mountain and the shores of Table Bay. The purpose is to provide fresh water, fruit, vegetables and meat for passing ships en route to India as well as build a hospital for ill sailors. He uses Autsumao (Herry), chief of the Goringhaikonas, as interpreter in cattle bartering transactions with the Khoikhoi. Van Riebeeck immediately requests the VOC to supply him with slaves imported from Asia to do the farming, perform other tasks related to the needs of the crews of passing ships and to build a fortification, as the VOC has issued clear instructions that the indigenous population was not to be enslaved. The VOC does not send slaves for at least five years. The only slaves that Van Riebeeck receives are either stowaways or those that captains on passing ships give him . Shortly after Van Riebeeck's arrival, the first horses are imported from Java. 2 March, The first slave, Abraham, a stowaway from Batavia, is given to Van Riebeeck. He works for the Company until sent back to Batavia three years later. 19 October, Autsumao (Herry), chief of the Goringhaikonas and Van Riebeeck's interpreter, murders the cattle-herd David Jansz and takes off with almost the whole of the settlers herd of cattle. He is pursued but not captured. The first Cape-based slave expedition is sent to Madagascar and Mozambique. However, the ship is wrecked along the coast of Madagascar. 6 April, On the second anniversary of his arrival at the Cape, Van Riebeeck announces that in future this day will be observed as a prayer and Thanksgiving Day to God. The Dutch ensigned Jan Wintervogel is sent by Van Riebeeck to explore the interior. He is to scout for trading opportunities with the indigenous communities there as well as to identify arable land. He reaches Saldanha Bay on the south-west coast overland. Having fled the Cape after the murder of cattle-herd David Jansz in 1653, Autsumao (Herry) returns to the Cape. Van Riebeeck allows him to settle there once more. He is not punished for his former misdemeanour. Willem Muller, a corporal, accompanied by the interpreter, Autsumao (Herry), is sent by Van Riebeeck to explore the Hottentots Holland region and to barter livestock. On this occasion Autsumao takes the barter goods (copper) and trades on his own account. He returns with thirteen cattle for the Company and a fair number of cattle and sheep for himself. Maize seeds are introduced to the Cape from the Netherlands. Van Riebeeck has the first vine planted in the Company's garden. March, There are three slaves at the Cape, brought from Madagascar. The first slave is freed to marry a Dutch settler. Nine Company servants are freed at Van Riebeeck's recommendation to the VOC to farm and keep livestock on freehold land along the Liesbeeck River. These ex-servants, now called free burghers, are exempted from taxation and have access to slaves. They have, however, to sell all their produce to the Company. This is an attempt by Van Riebeeck to match the requirements for fresh produce by passing ships, as five years into the establishment of the refreshment station Van Riebeeck is still not able to produce the fresh food required by the ships on their way to the East. Doman, the leader of the Goringhaiqua Khoi-Khoi, is sent to Batavia to be trained as an interpreter. Van Riebeeck discusses Khoi-Khoi policy with Commissioner Rijckloff van Goens. They agree that the only practical attempt to avoid thefts by Herrie and his Goringhaikonas followers is the method of territorial separation: haer af te snijden op den pas, door middle van onse fortificatin en wachthuisen (to prevent their entry into the settlement by means of fortifications and watch houses). This is the first introduction of the official policy of territorial segregation in South Africa. Van Riebeeck is further encouraged to continue his past policy of trying to win the Khoi-Khoi over to his side by gentle persuasion. 25, 26 or 28 March, The ship Amersfoort, which two months earlier has intercepted a Portuguese slaver bound from Angola to Brazil, arrives in Table Bay with a shipment of 174 slaves. Most of these are sent to Batavia. Thirty-eight men and thirty-seven women remain at the Cape. Van Riebeeck obeys the order of the VOC not to enslave the indigenous people of the Cape. 6 May, Another ship, the Hasselt, arrives in Table Bay with 228 slaves from Popo, Gulf of Guinea, (Dahomey). Most of these slaves are shipped to Batavia. 10 July, Van Riebeeck banishes Autsumao (Herry) to Robben Island. He escapes in December 1659 in a leaky boat and is again allowed to settle near the Fort with his followers. 2 February, The first wine is pressed at the Cape. Van Riebeeck writes in his journal that the harvest amounted to twelve mengelen (about fourteen litres) of must. May, The First Khoikhoi Dutch Wars begins. The first of a series of armed confrontations over the ownership of the land takes place between the Dutch settlers and a Khoikhoi clan led by Doman. The Khoi-Khoi attempt to steal the cattle used by Dutch settlers to plough the land that the latter has appropriated from them. In this first anti-colonial Khoikhoi-Dutch War the settlers seek refuge in the fort. A lack of unity among the Khoi-Khoi group undermines the revolt. Consequently, the Peninsular Khoi-Khoi loose more land to Dutch settlers. In an attempt to prevent the stealing of cattle, the Dutch administration erects a series of fortified fences along the Liesbeeck River and an almond hedge in present day Kirstenbosch to separate the Khoi-Khoi from their ancestral land and from the Dutch. Khoi-Khoi are restricted in their movement and are forced to use designated gates when entering the enclosed and fortified area. 6 May, Zaccharias Wagenaer succeeds Van Riebeeck as Commander of the refreshment station, which has, under Van Riebeeck's command, become a colony. 7 May, Van Riebeeck and his family leaves Table Bay on board the Mars for Batavia. Autsumao (Herry), interpreter and chief of the Goringhaikonas (Strandlopers), dies. 2 January, Work begins on the building of a stone fortification at the Cape (later popularly known as the Castle) with the laying of the four foundation stones of the first bastion. The VOC attempts to transact a formal transfer of land seized from Khoi-Khoi in numerous skirmishes. Brandy, which is used as currency in the bartering trade relations with the Khoi-Khoi, is produced in the colony for the first time. 18 July, The Company sends Hieronimus Cruse to attack the Cochoqua. This attack, executed on horseback, marks the beginning of Second Dutch-Khoi-Khoi War. The Dutch take approximately 1800 head of livestock. 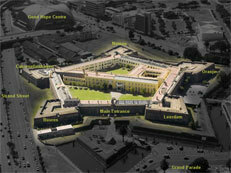 The building of the stone fortification, known as the Castle of the Cape of Good Hope, is completed. The VOC launches a second attack on the Chocoqua. In this Third Dutch-Khoi-Khoi War, almost 5000 head of livestock and weapons are taken from the Chocoqua. Governor Bax sends skipper Cornelis Thomas Wobma along the west coast to determine where the Hottentots [Khoi-Khoi] end and where the abode of the Kaffirs begins. He returns with the news that the boundary was somewhere north of Mossamedes. 25 June, The Third Khoi-Khoi-Dutch war ends. Governor Bax extracts the submission of the Chocoqua to Dutch rule, expressed in an annual tribute of 30 head of cattle. This submission paves the way for Dutch colonial expansion into the land of the Khoi-Khoi. A Slave Lodge is built to house Company slaves. 12 October, Simon van der Stel is appointed Commander of the Cape of Good Hope Colony. He is specifically mandated by the VOC to vigorously continue with the Company policy of Dutch colonial expansionism. Commander Simon van der Stel starts a new settlement along the Eerste River on land belonging to the Khoi-Khoi and calls it Stellenbosch. Governor-General Rijckloff van Goens instructs Commander Simon van der Stel to oppose all miscegenation (mixture of races) at the Cape. The VOC unilaterally establishes price controls over hides, skins, ivory and ostrich eggs, thereby provoking more conflict with the indigenous population and the illicit dealing in these commodities. The visiting VOC Commissioner, Hendrik van Rheede, decrees that male slaves buy their freedom at the age of 25 and female slaves at 22 years. The freed slaves are to be trained in designated areas of work, including agriculture. This decree is not enacted. However, a slave school is established in the Company Slave Lodge for the children of Company slaves only. Marriages between Dutchmen and female slaves are prohibited, except in the case of female slaves with Dutch fathers. Huguenot refugees arrive and settle mainly in Franschhoek. This period marks the appearance of the trek Boer, a semi-nomadic Dutch farmer and cattle grazer who settles beyond the Cape's official borders and out of the reach of the authority of the Company. Though prohibited and punished by the Cape authorities if discovered, instances occur where they raid livestock of the Khoi-Khoi, burn down their dwellings and settlements and drive them off the land, which is then appropriated for themselves. On the other hand, San and Khoi-Khoi attack, raid and burn down farms. The trek Boers are not to be confused with the Voortrekkers, who left the Cape Colony in a series of organised treks in the 1830s to settle permanently in areas in the interior not under British rule. Slaves in Stellenbosch attempt unsuccessfully to rise up against their owners. Commander Simon van del Stel is elevated to the rank of Governor of the Cape Colony. Governor Simon van der Stel retires. His son Willem Adriaan van der Stel, who governs until 1707, succeeds him. Cape Town connected to Hout Bay by road. The first "placaat" (ordinance or statute) restricting the importation of Asian slaves is promulgated. Free burghers are permitted to trade with local Khoi-Khoi chiefdoms. The latter suffer economic decline, a direct result of the terms of the trading system set by the Dutch. At the advice of Cape Governor W.A. van der Stel, the Dutch colonial administration annuls its policy of forbidding the inland trek of migrant stock farmers or Trek Boers. This paves the way for unencumbered colonial expansion. The boundaries extend north and include Winterberg, Witzenberg and Roodezand, later called Tulbagh. 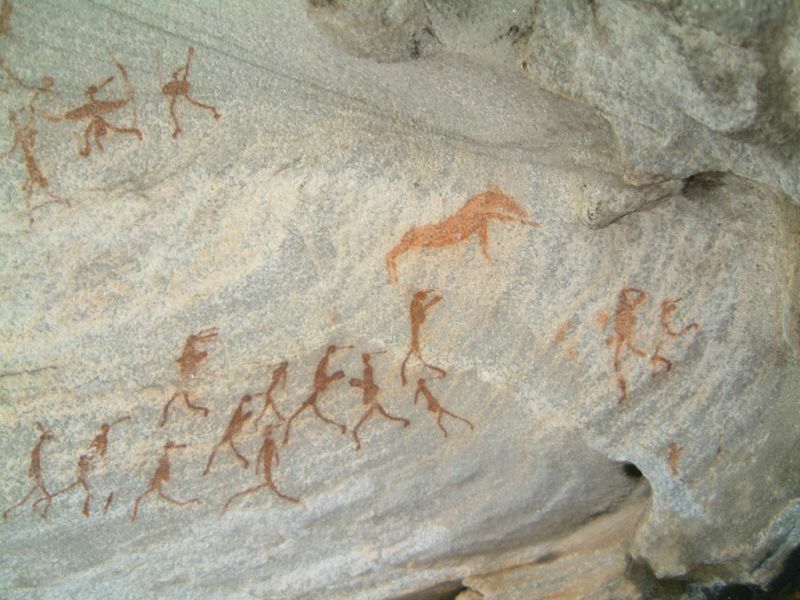 13 March, Khoisan raid more than 40 cattle of Dutch farmers at the Cape. In an attempt to put a stop to cattle raiding and other forms of brigandage by Trek Boers, the VOC imposes a temporary ban on free trading with the Khoi-Khoi at the Cape. This embargo is lifted in 1704. Licences are issued to stock farmers, allowing them to graze their cattle beyond formal colonial boundaries on the land of the Khoi-Khoi. This is an attempt to increase their productivity. It is estimated that whereas colonists owned 8 300 head of cattle and 54 000 sheep in 1700, by 1710 this number had increased to 20 000 head of cattle and 131 000 sheep. Adam Tas, representing farming burghers, draws up a formal memorandum of complaint, which is addressed to the Directorate of the VOC in Batavia. In the memorandum the signatories accuse Governor W.A. van der Stel and Company officials of illicit farming and trading, illegal landholding and setting up of illicit monopolies on the sale of wine, wheat and meat. The Governor orders the arrest and detention of Tas and 60 signatories. However, the VOC removes the Governor, the Lieutenant Governor, the Chaplain and the Landdrost (magistrate) from their posts and all the land in possession of company officials has to be disposed of. In addition, the monopolies are rescinded. This meant that the VOC re-asserted the official Company policy with regards to prohibiting the involvement of Company officials in farming and trading activities and restricting them to their official administrative responsibilities. A group of Cape slaves desert the immediate Cape Colony and attempt to establish a life for themselves to the north-west. They are captured and severely punished. Thomas van Bengalen is hanged, while Tromp van Madagascar, the leader, is sentenced to death by impalement. Van Madagascar commits suicide in goal. The rest of the captured slaves have their Achilles tendons severed or their feet otherwise broken on the wheel. March, An outbreak of smallpox, introduced by crew and passengers of a passing ship, results in the death of 25% of the White population and virtual decimation of the south-western Cape Khoi-Khoi who have no resistance against this disease. 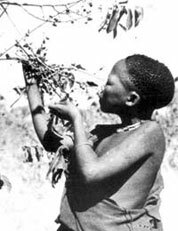 The decimation of the Khoi-Khoi results in an acute labour shortage. Tracts of land become ownerless. Colonial cattle farmers appropriate this land. Further outbreaks of smallpox occur in 1755 and most seriously in 1767, which registers three separate outbreaks. The VOC decides that future grants of land to settlers at the Cape should no longer be done on a freehold basis, but as loan farms called leningplaatsen. The farmers have to pay a rental to the Company for the use of the farm. However, approximately 400 freehold farms had been granted by the time that this system was changed. The owners of these farms are consequently unaffected by the new system of land tenure. Estimates put the colony's population at 744 officials, approximately 2 000 burghers and just over 2 700 slaves. Hence the slave population forms approximately 50% of the total population within little more than 50 years of the founding of the refreshment station. The Company (VOC) reinstates the ban on free trading with the Khoi-Khoi that it had suspended in 1704. In an attempt to enforce its control over the maintenance of borders in the eastern regions of the Cape Colony, the Company establishes an administrative post at Ziekenhuys. Ryk Tulbagh is appointed as governor of the Cape. During his reign from 1751 to 1771 he establishes the Colony's first library and a plant and animal collection in the gardens of the Company. Tulbagh initiates the codification of slave law. A census of the Cape reveals that its non-indigenous population comprises 510 colonists/settlers and 6 279 slaves. The Meermin sails from the Cape to purchase slaves in Madagascar. Due to a mutiny by the slaves on the return journey, the journey nearly fails. After a battle on the ship between captured sailors and slaves near Cape Agulhas, only 122 slaves of the cargo of 140 reach the Cape. The Cape frontier is pushed further eastward, beyond the Gamtoos River into the land of the AmaXhosa. Armed confrontations between the AmaXhosa and the Dutch colonists ensue. The third great smallpox epidemic breaks out at the Cape. September, Baron Joachim Ammena van Plettenberg, Cape Governor, leaves Castle with a small party of officials on an expedition to visit the most outlying regions as far as they are occupied. In his diary he records that he met the first Khoi-Khoi, two men with their women-folk and children, on the tenth day after their departure on the journey through barren and uninhabited veld. Slave lodge, Groote Kerk, Lutheran Church and Koopmans de Wet house is rebuilt. Merino sheep, originally from Spain (though some believe that the breed originated in North Africa) are imported from the Netherlands. This marks the start of the lucrative wool industry in the Cape Colony. It is also a significant reason for ensuing battles for the land of the indigenous people, as settler merino farmers demand more grazing land. The first overseas mail service in South Africa is inaugurated. The VOC is officially dissolved. A fire devastates large areas of Cape Town. The construction of the Cape Colony's first post office begins. An official newspaper press is established. A Government Gazette is issued. The establishment of an official press forbids freedom of the press, with a heavy fine threatening anyone who attempts to publish. In July 1800 the Cape government orders the publication of a weekly newspaper called the Cape Town Gazette and African Advertiser. The Cape is retroceded to Dutch rule under Batavian administration. Advocate A de Mist is elevated to the rank of Commissioner-General in order to receive the colony from Britain. He is also instructed to establish a new system of government for the Cape. Lieutenant-General J Janssens is appointed Governor. The British occupy the Cape for a second time. After a skirmish between British troops and a Cape burgher militia at Blaauwberg, the Dutch capitulate. All property of the Batavian Government is surrendered to the British. The formal cession of the colony to the Britain takes place eight years later in 1814. Battle of Cape Town, British occupy Cape (9307 slaves, 6435 free inhabitants, 800 liberated slaves). Cape Governor Caledon introduces a code, the so-called Hottentot Proclamation to regulate the use of Khoisan and coloured labour to satisfy the labour needs of white farmers. This entails the curtailment of the freedom of movement to seek work, with a pass system being introduced as the regulatory tool. Circuit courts are introduced in the Cape Colony to which black employees are able to formally lodge complaints against ill treatment by their white employers. John Cradock replaces Caledon as Governor of the Cape as he is expected to follow a more aggressive policy towards the Colony's eastern frontier than Caledon. His frontier policy results in hostilities breaking out between the colonists and the AmaXhosa. The Apprentice Ordinance is promulgated which gives any white farmer the right to apprentice the children of his labourers for a period of ten years from the age of eight. In an attempt to provide Khoikhoi and coloured employees with legal protection with regard to labour, Circuit Commissions are instituted. Many charges made by the labourers against their employers cannot be substantiated. However, the Commissions uncover the violence endemic to the system of master-servant relationship. In the so-called public Black Circuit court hearings and sittings, numerous white employees are convicted of ill treatment of their employees. Missionaries such as James Read play a significant role in making the ill-treatment of labourers by their employees public, leading to the conviction and punishment of the worst perpetrators. The circuit courts and the support they enjoy from missionaries lead to tensions between the white settlers on the one hand and their servants and labourers and some missionaries on the other. The founding of the Cape Town Free School for needy white children. Fiscal Daniel Dennijson codifies the Cape Slave Trade Law. With the official cession of the Cape from the Batavian Government to Britain, Charles, Lord Somerset is made Governor of the Cape. The Cape government introduces a series of so-called ameliorative laws which attempts to improve the relationship between slave owner and slave by determining the nature of punishment that slave owners would be allowed to mete out, regulating working hours and the provision of food and clothes for slaves. The legislation outlaws public flogging, particularly of female slaves. South African Commercial Advertiser, first newspaper established at Cape with John Fairburn as editor and founder. Legislation is passed to reform the justice system. Jury in the Cape Colony institutes the Cape Charter of Justice, which introduces trial. The Cape Parliament passes Ordinance 19 which provides for the appointment of a Guardian of Slaves to ensure that slave owners adhere to the extent of punishment that they are allowed to mete out to their slaves. Slaves could lodge complaints of violations of the amerliorative legislation to the Guardian of Slaves or his assistants who were required to investigate the accusations and take action against the perpetrators. Ordinance 19 also provided for slaves to have their freedom bought for them by family members. Slave owners rise up in protest against Ordinance 19. Promulgation of Ordinance 50, which aims at ensuring equality before the law of every free inhabitant in the Colony is introduced. Effectively this Ordinance curtails the power that an employer has over his employee. It also exempts Coloureds from carrying passes. Furthermore the Ordinance revises the Apprenticeship Ordinance of 1812 by requiring that children could only be apprenticed with the consent of their parents. Finally, magistrates no longer have the power to administer corporal punishment. Freedom of the press is recognised by the Cape government. The South African College is founded in Cape Town in order to advance higher education in the colonist society as higher education was lagging behind elementary education. Official emancipation of slaves. Although legally emancipated, the Cape slaves are indentured as apprentices to their owners for a period of four years. Despite the system of apprenticeship, numerous slaves desert their owners, while those who remain to serve their apprenticeship increasingly adopt a less subordinate attitude towards their masters. Desertion and insubordination hence become characteristic of the slave-master relation after Emancipation. It is estimated that the slave population of the Cape stood at 59 000 souls at Emancipation. The newly appointed Governor of the Cape Colony, Sir Benjamin D'Urban, establishes Executive and Legislative Councils to determine the parameters of legislative and executive authority in the Colony. Although no one could be elected onto the Council, freedom of debate was guaranteed and most legislative initiatives had to pass through the Council for approval. Beginning of the migration out of the Cape Colony by groups of armed Boer farmers in what is to go down in South African history as the Great Trek. Preparations for the migration were done secretly in 1834. The key organisers, Louis Trichardt, Hans van Rensburg, Hendrick Potgieter and Gert Maritz kept their scouting preparations a secret from the British authorities, thereby making an accurate reconstruction of events historically unreliable. Cape Colony: Ordinance 1 lays down the number of hours that an apprentice is required to work in gardens or on fields. This does not apply to domestic service. Most provisions of this Ordinance prove to be unenforceable. Ordinance 1 forbids slave owners from meting out punishment. A judicial and magisterial system is introduced to implement punishment in an attempt to establish the rule of law in the Cape Colony. Cape Municipality declared and councillors elected on a non-racial but qualified Franchise account. Sir George Cathcart becomes Governor of the Cape Colony. He leads the defeat of the AmaXhosa. Settlers gain the land of the AmaXhosa in the Amatola Mountains. Cape Newspaper 'The Lantern' publishes an expose showing the degradation of 'Blacks' living in the slum of Woodstock. Arliament buildings completed at the Cape. Ghananian educator, J. E. G. Gold Aggrey visits South Africa on an endowment mission to study African education. This prompts concerned Whites and members of African middle class to form the Joint Councils of Europeans and Blacks in major South African cities. Rev. Z. R. Mahabane addresses the Cape branch of the South African Native National Congress (SANNC). Selby Msimang delivers a speech before the second conference of the Industrial Commercial Workers Union of South Africa in Cape Town. Jo Thorpe is born in Fishoek in Cape Town. July, Communist Party of South Africa formed in Cape Town. George Edward Peake is born in the Cape. 14 October, Rahima Moosa is born in the Strand, Cape Town. James Thaele, a self-styled professor of Cape Town, in the first conference of Black Affairs, under the sponsorship of the Dutch Reformed Church, calls for Independent African Action. Wilton Z. Mkwayi is born in Middledrift in the Cape. Reginald September is born in Cape Town. Urban Areas Act passed, forcing Africans to live in designated locations. 8 February, Imam Abdullah Haron is born Newlands-Claremont. New pier built in Cape Town Harbour. ICU headquarters shifted from Cape Town to Johannesburg. Alex La Guma is born in Cape Town. 14 April, Collins Wells Englin is born in Sea Point, Cape Town. 11 September, Gerrit Viljoen is born in Cape Town. 21 February, The Cape Town Agreement is published and a joint communiqu on the Cape Town round-table conference is issued by the South African and Indian Governments. Dennis Goldberg is born in Cape Town. Cape African Voters are removed from the voters roll. Neville Edward Alexander is born. Lionel Davis is born in Cape Town. Table Bay power station built. Legal backing given for segregated workplaces and suburbs in Cape Town. Pier built in 1925, demolished to make way for a massive land reclamation scheme. 6 July, I.B. Tabata requests Professor Davidson Don Tengo (D.D.T.) Jabavu to attend a meeting of the AAC Western Province in Cape Town to discuss the manifesto. 8 February-12 February, A conference of The South African Indian Congress (SAIC), held in Cape Town, unanimously resolves to oppose the proposed legislation by proceeding immediately to prepare the Indian people of South Africa for concerted and prolonged resistance. During the conference a large deputation of sixty Indians calls on the Prime Minister, Field Marshal Smuts, on 11 February and urges him to postpone the legislation, pending a round table conference with India. July, Rev. J.A. Calata makes a presidential address at the ANC Provincial conference in Cape Town. Cissie Gool appears before the Cape Town magistrate for holding a public meeting. She also becomes active in the Franchise Action Council, the forerunner of the South African Coloured Peoples Organisation. 1 March, Dr. F Malan announces the Separate Representation of Voters Bill to remove Coloureds from the common voters roll in Cape. 7 May, The Franchise Action Council launch one-day work and school stay away in Cape Town to protest against the Separate Representation of Voters Bill. The Coloured People's Organisation (later the Coloured People's Congress) is formed under James La Guma and becomes the successor to the African People's Organisation (APO). Walter Sisulu travels through the country to organise the Defiance Campaign and addresses numerous meetings. Among others, Sisulu visits Bloemfontein, Kimberley, Cape Town and Port Elizabeth. 16 March, The Franchise Action Council calls a special conference in Cape Town to discuss what role of protest Coloured people would play on 6 April 1952 during the tercentenary celebrations of Jan van Riebeeck's arrival at the Cape. September, The Coloured People's Organisation, later the Coloured People's Congress, under the presidency of James la Guma, is formed in Cape Town as successor to the African People's Organisation (APO). The South African Coloured People Organisation (SACPO) organises bus boycott in Cape Town to protest against the introduction of segregation on buses. Sharpeville Massacre: In the wake of Sharpeville, African students loyal to the African National Congress (ANC) establish the African Students' Association (ASA), PAC sympathising students form the African Students' Union of South Africa (ASUSA), and those loyal to the Non-European Unity Movement (NEUM) form other organisations in the Cape and Natal. However none of these organisations survives long, since identification with banned movements is hazardous, and university authorities are hostile to student political groups. Non-cooperation between peers in different student political groupings makes matters worse. The PAC mounts its anti-pass campaign. Police at Sharpeville open fire on peaceful protesters killing sixty-nine and injuring 180. In the Western Cape, police opens fire and two people are killed. The PAC retaliates by calling a work stoppage that lasts for two weeks. Ninety five percent of the workforce goes on strike. PAC youth takes control of the Cape Town townships of Langa and Nyanga, setting up roadblocks and distributing food. 30 000 residents of Black townships of Cape Town march on Caledon Square, led by Philip Kgosana, but the march is thwarted when Kgosana is tricked into calling it off on the promise of top level negotiations. The state calls in the military and the marines, the townships are cordoned off and the situation is brought under government control. A state of emergency is declared, thousands are arrested throughout the country and the ANC and PAC are declared banned organisations. Nelson Mandela is among those imprisoned. The Regime declares a State of Emergency and arrests over 2 000 people. At lunchtime, 30 000 Africans from surrounding African townships march into the centre of Cape Town and demand an interview with the Minister of Justice. The Chief of Security promises to approach the Minister and the crowds march out of Cape Town. Immediately after they disperse, Erasmus announces in Parliament that a State of Emergency has been declared in 80 of the 300 magisterial districts, including every important urban area, and that 18 regiments of the Citizens Force have been mobilised to supplement the police, army and air force. 29 May, Nation-wide general strike. It is reported that only 10-15 % of the labour force joins the strike. In Johannesburg, however, there was high African absenteeism. More than 40 % of the Rand's huge labour force stays at home. Fifty % of the Asians are out at Durban and 25 % of the Cape Coloureds.A split develops within the African leadership at the last moment. Nelson Mandela and the ANC take the initiative in organising the strike, but leaders of the banned PAC call on non-Whites to ignore it. August, Sisulu visits Cape Town and organises for the extension to the ANC Youth League. 4 October, Separate elections for the four Cape Coloured representative seats are held. They are won by Independents with the United Party support. 12 December, Verwoerd tells the Council of Coloured Affairs that it will be transformed into a coloured 'Parliament' with a 'Cabinet', initially of four members, within the framework of a ten-year plan for the development towards self-determination of the Cape Coloured population. Poqo uprisings in the Cape result in vicious killings, particularly of Whites. 21 November, In an outbreak of violence at Paarl, Cape Province, two whites are beaten to death and seven blacks are shot during a march on a police station by about 100 blacks. 19 February, The Minister of Defence announces the re-establishment, as of 1 April 1963 of the 'Cape Corps' of Coloureds to be employed in non-combatant roles. 30 August, The Prime Minister announces, in a statement before the Supreme Court in Cape Town, that Dr Abrahams will be returned to Bechuanaland. He and his three companions, are returned to Ghanzi on 31 August 1963, and the charge of sabotage is withdrawn on 11 September 1963. In the Cape members of a breakaway group form the Non-European Unity Movement, Neville Alexander, Don Davis, Marcus Solomons, Elizabeth van der Heyden, Fikile Bam, Ian Leslie van den Heyden, Lionel Davis, Dorothy Alexander, Dulcie September, Doris van der Heyden and Gordon Hendricks are brought to trial in Cape Town. 6 February, Revd Robert Selby Taylor, Bishop of Grahamstown, is elected Archbishop of Cape Town and Metropolitan of the Province of South Africa, in succession to Dr Joost de Blank who recently returned to Britain on medical advice. 19 June, Sabotage groups blast three pylons, one in the Transvaal and two on the Cape Flats.Parliament ends its session after 103 days and the passing of 100 bills. 25 February, Archbishop Owen McCann of Cape Town becomes South Africa's first Cardinal when he is invested by Pope Paul in St Peter's Basilica. 19 October, New electoral divisions are defined and plans are open for inspection. 160 electoral divisions are provided for the House of Assembly-an increase of ten-and in addition there will be six for South West Africa and four for Cape Coloured voters. 18 March, The Defence and Aid Fund is banned as an unlawful organisation under the Suppression of Communism Act. It is an autonomous South African body providing legal aid for persons accused of political offences and support for the families of political prisoners. The fund's office in Cape Town, East London, Johannesburg and Port Elizabeth are searched by police, as well as the homes of its office bearers, including that of the author, Alan Paton. 28 March, The trial of Fred Carneson, a listed communist and former editor of New Age opens before the Supreme Court in Cape Town, the charges being sabotage and contravention of the Suppression of Communism Act on three counts. On 25 May he is sentenced to a total of five years and nine months' imprisonment. 12 September, The Minister of Defence, Botha, announces in Cape Town that the posts of Secretary for Defence and Commandant-General of the Defence Force are to be combined under one head. October-17 October, Tsafendas is brought to trial before the Judge-President of the Cape Province. 10 January-11 January, B.J. Vorster and Chief Jonathan of Lesotho meet in Cape Town. A joint statement emphasizes their belief in peaceful co-existence. Economic aid and technical assistance are also proposed. 24 January, Prime Minister B.J. Vorster announces in Cape Town that Dr DÁ¶nges, nominated as the government's candidate for the Presidency, has tendered his resignation as Minister of Finance. His portfolio is to be taken over by Dr Diederichs. Mr J.W. Haak becomes Minister of Economic Affairs and Dr Carel de Wet, South African Ambassador in London will take over the portfolio of Mines and Planning. 30 July, Dr Raymond Hoffenberg of Groote Schuur Hospital, Cape Town and senior lecturer at the University of Cape Town Medical School, is banned under the Suppression of Communism Act. No explanation is given. The order leads to immediate protests by University staff and students. 3 April, Prime Minister B.J. Vorster announces that the 5 'non-White' University Colleges-those of Fort Hare, Zululand and the North, of the Western Cape and of Durban-Westville-will be released from their association with the University of South Africa,. They will be called universities and will, subject to certain conditions, be free to provide for their own teaching and conduct of examinations. 10 April, J.J Fouché is inducted as President in Cape Town. 14 August, Widespread student protests are held against the banning by the government of the appointment of an African lecturer, A. Mafeje, to a post in the Department of Social Anthropology at the University of Cape Town. Prime Minister Vorster subsequently threatens to take action against student protests if the University authorities do not do so in reasonable time. 2 September, P.W. Botha, the Minister of Defence, announces the establishment of a third naval base at Saldana Bay, about 80 miles north of Cape Town. 11 February, A delegation from Mauritius arrives in Cape Town to discuss ways of strengthening links between Mauritius and South Africa. 26 March, The Prime Minister of Swaziland visits Cape Town for talks with John Vorster and confirms that a policy of friendship and cooperation towards the Republic is being maintained. Bernard Dancing Shoes Hartze (Cape Town Spurs, Federation Professional league) sets a South African record for a single season goal-scoring average: 35 goals in 16 matches. The Prime Minister states in the House of Assembly in Cape Town that the United Nations General-Secretary, Dr. Waldheim, will be welcome and the government is willing to discuss with him, inter alia, black self-determination. April-June, Serious student unrest occurs at both black and white English-language universities leading to forceful police action against demonstrators in Cape Town, Johannesburg and elsewhere. Of the total 618 persons arrested in connection with student protests all those tried in court, for various alleged offences, are acquitted-except one student fined R50 for addressing a meeting. 12 May, A Bill prohibiting demonstrations near the Houses of Parliament in Cape Town is passed with the support of the opposition United Party. 16 May, The Minister of Justice banns all protest meetings in the centre of Cape Town, following student protests. Several arrests are made. 2 June, Student protest erupts into violence outside St. George's Cathedral in Cape Town. Force is used to dispel demonstrators. 18 July-19 July, Stevedores turn out in large numbers at the respective Wage Board sittings in Durban and Cape Town to argue their case for a minimum wage of R18, based on the PDL. Supported by evidence from the Commission, the workers are of the view that they have succeeded in obtaining their wage increases. The slow workings of the Wage Board are such that by October of that year, there is still no news on this. 10 August, Naval Headquarters at Simonstown announce that the second series of joint British South African exercises off the Cape Coast will begin on 14 August 1972 and will continue for seven days. October, As the new wages for dockworkers have not yet come into effect, stevedores in Cape Town and Durban embark on a strike. It ends when workers are given an ultimatum to return to work or face retrenchment. December, The new wage determination from the Wage Board comes into effect. It is a R1 increase for stevedores, to a minimum wage of R9,50. This is just under 50% of the R18 PDL mooted by the workers in July. As a result, 2000 workers strike in Durban and 20 are dismissed. Concerned that Cape Town workers would face dismissal if they struck, students in the Commission there encourage workers to write to the Secretary of Labour, and to consider forming a trade union. Pamphlets giving workers advice on how to go about forming a union are distributed. February, The report of the one-man Commission of Inquiry into the University of the Western Cape by Justice IT. van Wyk urges that disruption and incitement at all South African universities be made a legally punishable offence. 19 August, The Prime Minister meets for four hours in Cape Town with a delegation of politicians from the Coloured Representative Council (CRC), led by Sonny Leon. He informs them that the government cannot meet their demands. 5 September, The Prime Minister again meets Coloured leaders in Cape Town in an attempt to resolve the crisis in the government's Coloured policy. 10 September, The Minister of Defence states that South Africa will provide bases and communication facilities to the maritime forces of Western nations interested in the defence of the Cape route. Cape Town-based Hellenic (White) claim the Chevrolet Champion of Champions by defeating Kaizer Chiefs (5-2 on aggregate). 17 March-18 March, Meetings are held in Cape Town between Prime Ministers Vorster and Ian Smith, with discussions focussing on the détente policy and the future of Rhodesia. June-September, People arrested include lecturers at the Universities of Cape Town and Natal, leaders of NUSAS, an assistant to Dr. Beyers Naudé and the Afrikaans author Breyten Breytenbach. Most are detained under the Terrorism Act. 16 June, The British Foreign and Commonwealth Secretary, James Callaghan, announces in the House of Commons that the Simonstown Agreement with South Africa has been terminated. There will be no further joint exercises between the Royal and South African navies. The facilities will remain available to countries of the free world wishing to co-operate in the defence of the Cape Sea Route. 11 August-12 August, Violence spreads to Cape Town,to the black townships of Langa, Nyanga and Guguletu and then, for the first time, to Coloured townships. Unrest, disturbances and riots spread to Cape Town itself, with interaction with the police on 1, 2 and 7-8, 10-13 September. Sporadic outbreaks of violence continue to occur in Soweto and in central Johannesburg. 1 September, About 2 000 Langa, Nyanga and Gugulethu students march without notice or publicity through the Cape Town CBD unhindered. 2 September, The coloured students march to the city in the hope that they will also display a peaceful march. The police were prepared and close down the CBD. The tear gas they spray on students affects all working people there, who later are forced into the chaotic streets by the smell. The city marches continue to September 3 when police execute similar action as the previous day. It appears that the Cape Town revolt has passed the point were intimidation can force youth off the street. 15 September-16 September, Some 200,000 Coloured workers stay away from work in the Cape Town area. The extent of the strike is unexpected and unprecedented. 20 September, A seven-man delegation of Coloured leaders flies from Cape Town to Pretoria to meet the Prime Minister for discussions on the future of the Coloured community. They appeal to John Vorster for the immediate release of the Chairman of the Coloured Labour Party, the Rev. Allan Hendrickse, unsuccessfully. 29 September, In the Cape Town Supreme Court a British journalist, David Rabkin, his wife and a university lecturer, Jeremy Cronin, are sentenced to ten, one, and seven years' imprisonment respectively for offences under the Terrorism and Internal Security Acts to which they have pleaded guilty. They have advocated violence leading to insurrection. Since Mrs. Rabkin was expecting a baby, the court suspended eleven months of her twelve-month sentence and she returns to Britain with her new born daughter in October. 17 October, The township of Soweto flares into violence again. An estimated 75,000 Pounds Sterling damage is caused. Incidents are also reported from Cape Town, Pretoria and Krugersdorp. 25 January, A group of clergymen of seven Christian churches-including the Roman Catholic, Anglican and Methodist churches-calling themselves 'Ministers Fraternal' publish a report blaming the riot police for their role in the violence in the Cape Town townships at Christmas 1976. Their report is banned. 27 January, Police in Cape Town arrest thirty two members of the Comrades Movement, a student organization arising from the unrest in the townships in 1976. They face several charges of arson. 9 February, The Prime Ministers of South Africa and Rhodesia meet in Cape Town for talks on the Rhodesian problem and the possibilities for settlement. 24 May, Minister of National Education, Dr. Piet Koornbof, tells a conference in Cape Town that South Africa is moving in the direction of a confederal or canton' political system, and cultural pluralism. He is publicly supported by the Minister of Defence, P.W. Botha, chairman of the special committee on adaptations to the present Westminster-style of government. 10 August, About 100 white sympathisers join evicted black squatters in a passive protest against the demolition of shanty dwellings outside Cape Town. This was the third day of an operation to remove an estimated 26,000 squatters from three camps. 11 December, Alexandre Moumbaris, who was serving a twelve-year sentence, convicted under the Terrorism Act, escapes from Pretoria Central, and succeeds in reaching Zambia. Two white academics from the University of Cape Town, escape with him. January, The Schlebush Commission holds hearings in Cape Town on the country's constitutional future. Among the organizations submitting memoranda, or alternative proposals, are the PEP, the NRP, the South African Indian Council and Inkatha. 20 April, Mounting protests by Coloured students against the educational and political system escalate further. Representatives of more than sixty Coloured high schools, teacher training colleges and the University of the Western Cape resolve to continue their boycott of classes. The boycott begins on 21 April 1980 and is widely observed by approximately 100,000 students from seventy schools for three weeks. 28 May, The schools boycott spreads to the black townships and riot police are in action in Durban and Port Elizabeth. At Elsies River, near Cape Town, police fire on Coloured children, killing two and wounding three. 6 June, Dr. Renfrew Christie, an academic and former student leader from the University of Cape Town, is sentenced to ten years imprisonment, with four other sentences of five years each to run concurrently, after being found guilty on five charges under the Terrorism Act. He is said to have supplied information to the ANC concerning South Africa's nuclear programme, and to have exposed vital installations to the danger of sabotage. 20 August, Mass protests in Cape Town over the enforced removal from Nyanga camp are followed by widespread criticism both within and without South Africa. 25 August, Confrontation between South Africa and Transkei over the deportation and return to Transkei of squatters from the Cape Town area. 20 November, A total of eighty-two agreements between South Africa and Ciskei are signed in Cape Town by Chief Sebe and the Prime Minister and other Cabinet Ministers. The bombing of South Africa's only nuclear power station at Koeberg, outside Cape Town, took place on 18 December 1982. 10 March, Over fifty squatters begin a hunger strike in St. George's Cathedral, Cape Town, protesting against evictions from Nyanga squatter camp. The strike ends on 1 April 1982 after a meeting with Dr. P. Koornhof. 20 March, A powerful bomb at 2:05 am destroyed the cells behind the Langa Commissioner's Court in Cape Town where thousands of pass law offenders are sentenced. The blast caused widespread damage in the office which houses personal files on Africans in the Western Cape. It was apparently part of ANC campaign aimed at creating confusion in the apartheid administration by destroying records of blacks. It took place on the eve of the anniversary of the Sharpeville massacre. No one was injured. 4 June, A bomb exploded in the elevator of the building in the centre of Cape Town which houses the President's Council. One man was killed. According to Security Police, 60 attacks by insurgents belonging to the ANC were recorded last year. That number compares with 19 in 1980 and 12 in 1979. 27 October, An intensified campaign to enforce the pass laws leads to increased prosecutions in the Cape Town area. The government is working towards stricter enforcement of influx control, particularly in the Western Cape. 9 April-10 April, At a meeting in Cape Town seven predominantly black trade unions decide in principle to form a federation, estimated to have a potential membership of about 180,000. May, Late May: The government is planning to build a large new township, Khayalitsha, twenty-five miles outside Cape Town. More than 150,000 black people living in townships near Cape Town, will be expected to move to the new development. This is a policy reversal of the government's virtual freeze on all building for blacks in the Cape. 14 June, United Democratic front (UDF) is formed in Cape Town. 20 August, The United Democratic Front (UDF) is formally launched at a meeting in Mitchell's Plain, near Cape Town, attended by delegates from 320 community groups, trade unions, women's groups and student organizations. It is opposed to the government's constitutional proposals and pledges itself to a single non-racial and unfragmented South Africa. 5 September, The trial begins in the Cape Town Supreme Court of Commodore Dieter Gerhardt on charges of spying for the Soviet Union. The Judge President grants an application by the state that the proceedings be held in camera. 17 March, A Defence Force spokesman confirms in Cape Town that South Africa is to stop supplying the United States and Britain with intelligence reports on the movements of Soviet warships around the Cape by the end of the year. 2 May, South Africa, Mozambique and Portugal sign a new agreement in Cape Town on the supply of electric power to South Africa from the Cahora Bassa Hydro-electric Dam in north-west Mozambique. 10 May-12 May, Talks take place in Cape Town between Swaziland and South Africa concerning trade and regional security. South Africa is to open a consulate in Swaziland. It is reported that more than sixty ANC members are in detention in Swaziland and four have been handed over to the South African authorities. 18 June, Chief Gatsha Buthelezi is summoned to Cape Town by Dr. Piet Koornhof and informed that the Rumpff Commission of Inquiry into the implications of the possible transfer of KaNgwane and lngwavuma, KwaZulu to Swaziland has been disbanded. 13 July, The last all-white Parliament ends its last session in Cape Town. Cabinet members, the Reverend Allan Hendrickse, leader of the Labour Party, and Amichand Rajbansi, whose National People's Party is drawn from the Indian community, were sworn into office in Cape Town, along with the other members of the new 19-man Cabinet for General Affairs, which is otherwise all-white. 21 February, Government announces ninety-nine year leasehold rights for blacks in three Cape Town townships in order to stop the riots over the policy of forced removal in that region. 7 July, Five prominent anti-apartheid activists from Cape Town were released after being detained for up to two years under the emergency, but three of them were served with restriction orders limiting their movements and activities and barring them from speaking to the press. The five were Trevor Manuel, Ebrahim Rasool, Mountrain Qumbela and Hilda Ndude, all officials of the United Democratic Front (UDF) in the Western Cape region, and Mzonke Jacobs, president of the Cape Youth Congress. Those served with restriction orders were Messieurs. Manuel, Rasool, and Jacobs. 31 August, Confrontation between the Mass Democratic Movement and the regime continued when about 200 women, including anti-apartheid leaders, marched toward the UK Embassy in Cape Town on 30 August to deliver a petition protesting the condition of political detainees in South African, only to be arrested, and then released, with trials set for October. On 31 August, students held a large rally at the University of the Witwatersrand in Johannesburg, at which they announced the revival of four "restricted" student groups, and then had a running battle with police, who broke up the meeting. 25 January, Extracts of a document written by Nelson Mandela in anticipation of a meeting with President P.W. Botha in the beginning of 1989, is published by a Cape Town newspaper. 22 March, After a meeting in Cape Town with President de Klerk, the Secretary of State James Baker 3rd said Mr. de Klerk had told him that his Government was engaged in an "irreversible process that we (the South African Government) will follow to its logical conclusion." Authorities ordered an inquiry into the funding of the Civil Co-operation Bureau, a secret military unit, accused of political assassinations. 5 April, At an informal meeting in Cape Town, President F.W. de Klerk and Nelson Mandela agreed to reschedule formal talks between the Government and the African National Congress (ANC). The talks will be held from 2 to 4 May. 1 February, In a speech given at the opening of the parliamentary session in Cape Town, South African President Frederik Willem de Klerk announced that legislation would be tabled shortly for the repeal of the Land Acts of 1913 and 1936, the Group Are s Act of 1966 and the Development of Black Communities Act of 1984, as well as the Population Registration Act of 1950. The repeal of the latter would be accompanied by the adoption of temporary transitional measures. President de Klerk also declared his opposition to the idea of a constituent assembly and to that of an interim government. 12 February, Following a 12-hour meeting in Cape Town between President de Klerk and ANC Deputy-President Nelson Mandela, they announced that they had resolved differences on the interpretation of the Pretoria Minute. Under the new agreement, the authorities undertook to expedite the return of exiles and the release of political prisoners while the ANC assented to end the recruitment and training of cadres for its armed branch-Umkhonto we Sizwe. 29 September, Reverend Allan Boesak was elected Chairman of the ANC's Western Cape region. 1 November, In a book entitled "The Samson Option", journalist Seymour Hersh asserted that Israeli and South African scientists had collaborated over nearly three decades to successfully produce a nuclear bomb, testing at least three warheads off the Cape of Good Hope during the last 1970s. 24 January, In a speech given at the opening of the parliamentary session in Cape Town, President de Klerk reiterated his intention to set up a transitional government "broadly representative of the total population". 7 December, The Transitional Executive Council has its first meeting in Cape Town. 26 October-28 October, International Donors' Conference on Human Resources Development at Cape Town, organised by the UN and Commonwealth. Fifty major international donors attended. Pledges of aid to South Africa total 10 billion rand. Following violent student protests in Cape Town on 16 February, President Mandela warns in Parliament that he will not tolerate anarchy developing in the country. 17 May, Unita leader Jonas Savimbi meets President Mandela in Cape Town. Parliament approves legislation to set up a Truth Commission. 29 January, Two serving members of the army and a third man are arrested in connection with the attack on St James's Church in Cape Town in July 1993. 23 June, A service in Cape Town's St George's Cathedral marks the retirement of the Most Rev. Desmond Tutu as Archbishop of Cape Town and head of the Anglican Church in South Africa. He will remain chairman of the Truth and Reconciliation Commission. 4 August, During a march organized by the Cape Town-based Muslim organization People against Gangsterism and Drugs (PAGAD) a suspected drug dealer, Rashaad Staggie, is set alight and shot to death. PAGAD spokesmen later claim the motorcade of some 500 vehicles had been delivering an ultimatim to him and to his twin brother Rashid to end drug sales. 11 August, PAGAD supporters attend a rally in Cape Town. Similar rallies are held in Durhan and Johannesburg's Lenasia area, and national support grows. Tensions rise and police and troops patrol. Leaders of PAGAD deny that there are plans for a 'jihad' or holy war and maintain theirs is a broad-based campaign against crime, for which they are receiving a ground swell of support. 16 December-17 December, Running battles break out between police and PAGAD protestors in Cape Town. 19 February, The Presidents of South Africa, Uganda, Mozambique, Botswana and Zimbabwe meet in Cape Town. The five leaders exchange views on problems affecting the sub-continent as well as the crises in Zaire and the Sudan. President Mandela emphasizes the importance of peace and stability in Africa to ensure harmonious co-existence and development. 17 March, Allan Boesak appears in a Cape Town court to face nine charges of fraud and twenty one charges of theft involving more than $800,000-most of it donated to his Foundation for Peace and Justice by Danish and Swedish aid organizations. The case is postponed until 4 August 1997.